Online Marketing for businesses with big ambitions: Shock! Web agency reveals - you can spend too much on a website! Shock! Web agency reveals - you can spend too much on a website! Now my blog title might seem a little strange coming from a web design agency – however it’s absolutely true. You might have a budget of £3k or £33k. It doesn’t matter. If you spend the whole lot on a website you’ve spent too much. It is visibility in the search engines and in/on various platforms online (such as social media platforms, blogs, forums etc) that ensure your site actually gets linked to/clicked on/visited. 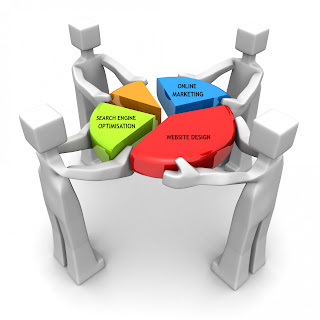 I advise prospective clients who want a new website to think of a web project as exactly that; an on-going project. Not a one off cost. It doesn’t mean you have to spend more money! The options available are growing with every week that passes. Search engine optimisation seems to become more complex and online marketing appears to have more and more ‘must use’ tools. The crucial thing is to understand that as soon as a website is built it requires on-going management to ensure people know/hear about your site. Whether it’s SEO or online marketing will depend on a whole host of factors, starting of course with what it is you have to offer via your website and any subsequent aims you have for it. Simply put you’ll probably spend more in the long run. Even if you don’t, your initial investment is almost certain to be a waste. After all, you can have the best website out there but, if no one knows about you/where to find you (and you’re not found in the search engines), you’ll join the large group of people/businesses with overlooked sites… and that’s not a good group to be part of. There are simply too many websites out there for the right people to find you by chance! Think: Annual Internet Budget = Website + SEO + Online Marketing. Search engine optimization is the latest trend in the internet world that happens to be quite difficult to people who are not engaged in it. There are lots of small business owners that don't have any idea where to start with regards to SEO and the way to be visible on search engines like Google. To be able your website be listed on the search engines you have to be active in advertising your website. Indeed, a lot of job should be carried out to make your company elevate to the first page as well as the top ranking. It does not happen instantly. It's challenging sometimes complicated but in the end it's worthwhile. The hard work and money used getting your website on the best rankings of search engines will surely returned with added benefits.